Jessica Chastain, the best friend I’ve never met, can communicate with spirits who have passed on to the other side. As the best friend she’s never met, I’ve known this for some time, but it’s probably big news to all her non-best friends. 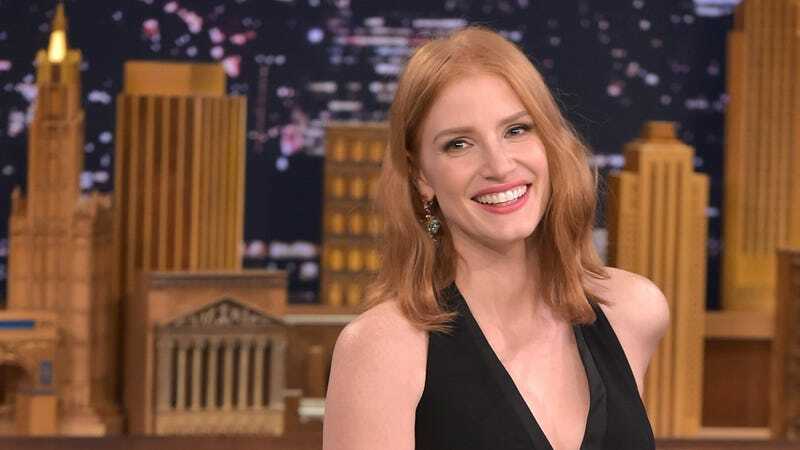 Page Six reports Chastain revealed her special talent on a recent episode of Today. The ghosts listened and let her sleep. When he’s not [allegedly] feuding with his wife Gisele, Tom Brady spends his time starting new feuds with popular food brands, like Coca-Cola and Kellogg’s. I bet Tom and Clover have a lot in common. Lucky Charms is one of the worst cereals around and the marshmallows taste like styrofoam. Rita Ora finally got her crown!